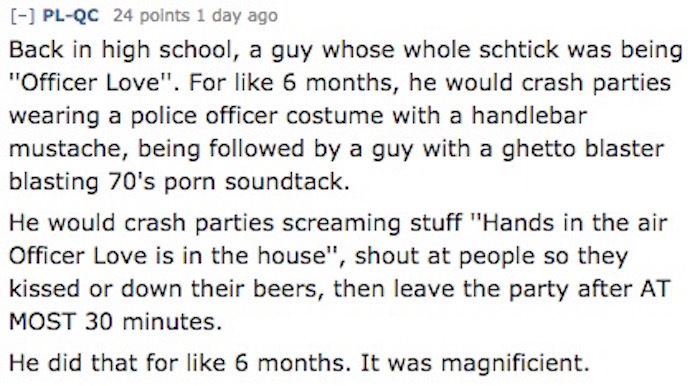 Tales of drunken debauchery that will simultaneously make you want to party and never drink again. 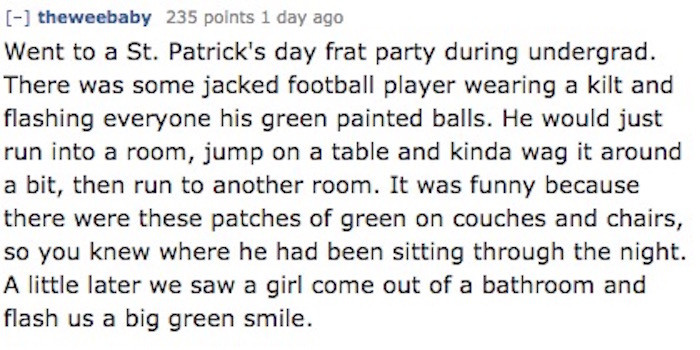 Crazy party stories are like adult trading cards. 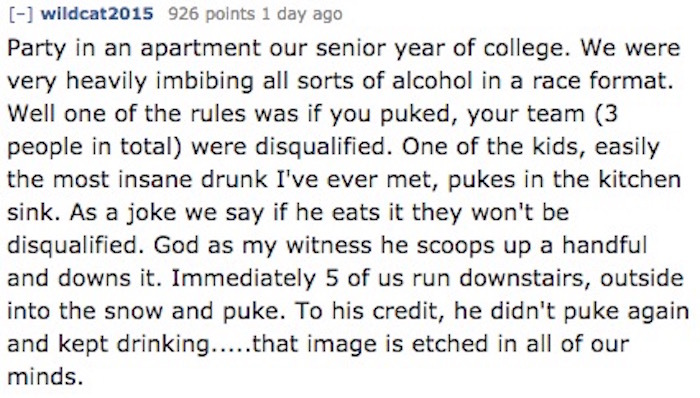 People love swapping tales of stuff they've seen or done on non-sober evenings. 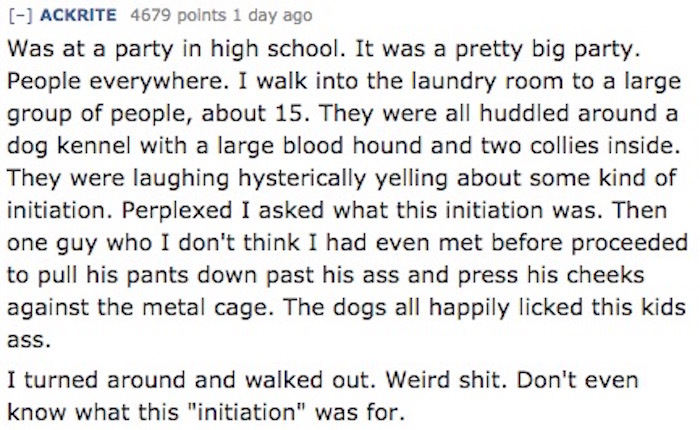 A recent Reddit thread asked users to share exactly those stories and, as expected, Redditors had some good tales. 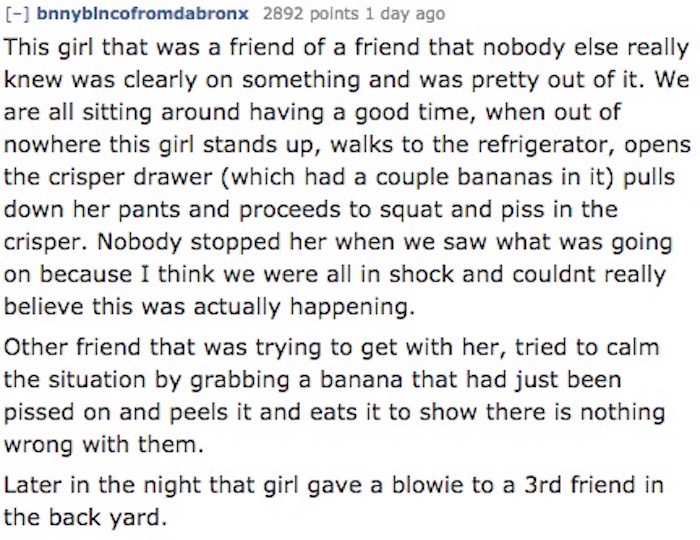 Like with a lot of "crazy" stories, there are a great number that are better heard after-the-fact than lived through; nobody wants to share a couch with someone accidentally pooping. 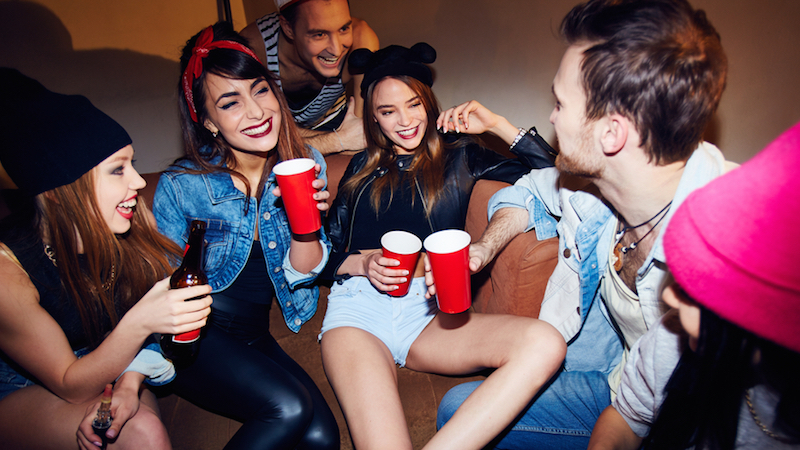 Instead of getting way, way too drunk, live vicariously through these 18 raucous stories instead. 1. 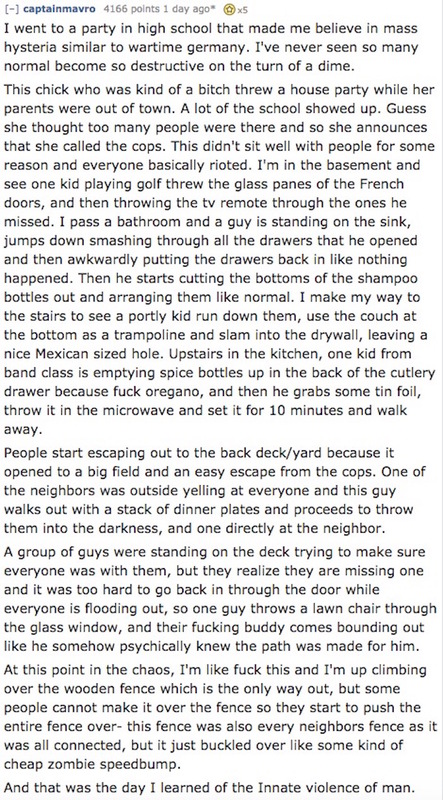 Drunk people are easily entertained. 3. 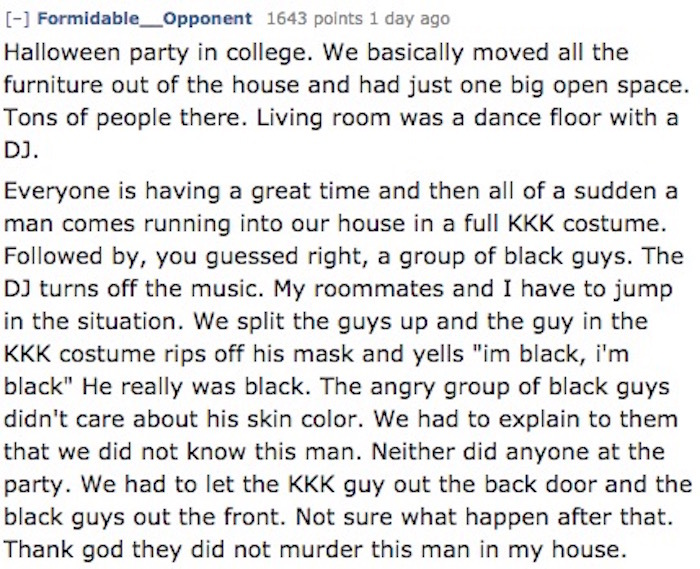 This party likely got a lot weirder. 4. A creative genius can't be tamed. 5. This one's better without the explanation. 6. Must've taken a long time to clean up this house. 7. So did it live there? 9. He probably didn't wear that costume again. 10. As long as the bananas are okay, it's all good. 10. He must've been proud of himself for that pun. 11. Sometimes parties do result in lasting relationships. 12. She should've chosen dare. Or not answered truthfully. 14. He had fun and got in a workout. 15. This guy made his mark. 16. He should bring this back. 17. In a way, this almost makes sense. That last guy is a champion. A revolting champion who hopefully has no memory of eating his own puke.